Healthy: its natural fibres help reduce the risk of allergic reactions, irritation, and discomfort on the skin of your baby. Organic: Oxo-biodegradable materials in GU diapers degrade and get reintegrated in nature over a period of 3 to 6 years. Size 3 (4-10 kg) 32 u. Besides integrating raw materials of natural origin and oxo-biodegradable materials, GU diapers are tested as Non-irritating: They help reduce the risk of allergic reactions, irritation, and discomfort in the delicate skin of your baby. 1. INTERNAL COVER AND TRANSFER LAYER: It contains hypoallergenic fibres from natural origin to ensure both maximum respect for your baby's skin and a lower environmental impact. 2. CORE: Integrates sustainable materials such as cellulose and the 100% natural starch-based absorbent Bio SAP. Ensures absorption for 12 hours. Its biodegradation is lower than a year. 3. EXTERNAL COVER: A soft and leakproof barrier made from oxo biodegradable material. Besides providing comfort and protection for the baby, it reintegrates into nature in a period of 3 to 6 years. 4. 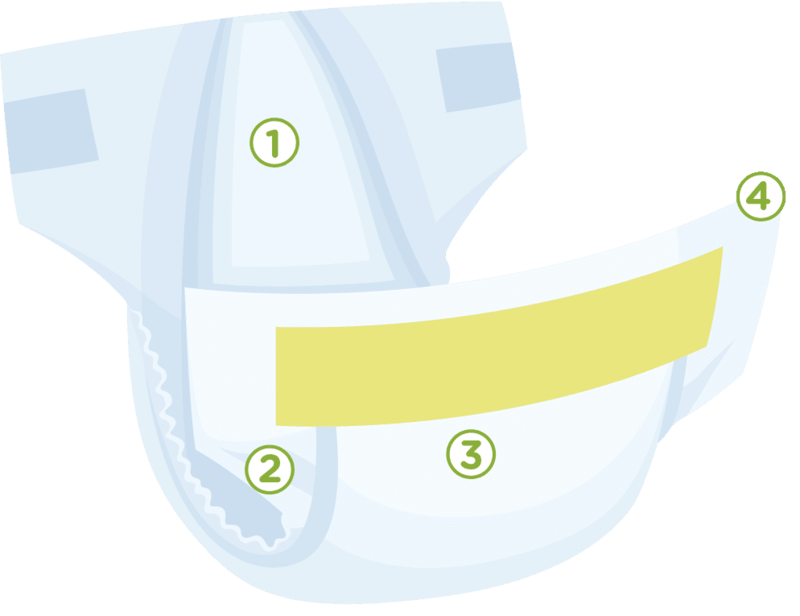 ANATOMIC WAIST AND ELASTIC SIDES: The diaper adapts to the baby's body without damaging his/her skin, providing complete freedom of movement. ABSORPTION FOR 12 HOURS: Your baby will be protected and dry both day and night. 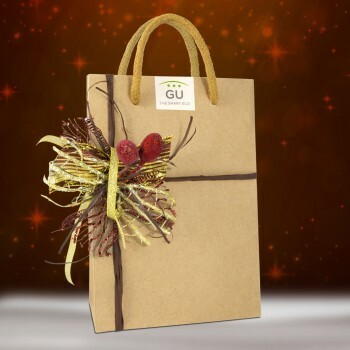 REUSABLE ORGANIC PACKAGING WITH NO PLASTIC! We substitute the classic plastic wrap for a bag with a more sustainable design, made with water-based inks, plant adhesives, and recyclable, recycled and biodegradable materials. Diapers are usually made of polypropylene and polyethylene, non-biodegradable materials that can take hundreds of years to decompose. 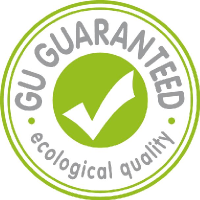 Instead, GU diapers contain Oxo-biodegradable materials, proceeding from renewable natural resources that make them biodegradable and accelerate their decomposition. External cover of propylene and natural cotton. A waterproof film of biodegradable propylene. Propylene and PLA (naturally occurring polymer) internal cover. 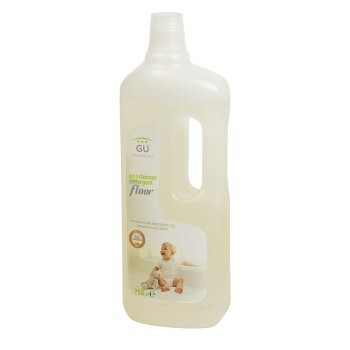 WHY USE A MORE NATURAL DIAPER SUCH AS GU? The baby's skin is extremely sensitive and usually reacts to prolonged contact with products made mainly with artificial components and petroleum derivative chemicals. GU diapers use less chemical products than conventional disposable diapers and are more respectful to babies, especially those who have sensitive skin or are prone to irritation. Moreover, they are tested as NON-IRRITATING: They help reduce the risk of allergic reactions, irritation, and discomfort in the delicate skin of your baby. Many baby care products are made from synthetic materials such as plastic, which take hundreds of years to decompose, or contain raw materials, especially chemicals that are doubtfully safe for the environment or people's health. Organic packaging without plastics! We substitute plastic packs for a bag with a more sustainable design, made with water-based inks, plant adhesives, and recyclable, recycled and biodegradable materials. Biodegradable: Traditional diapers take 300 to 400 years to decompose. 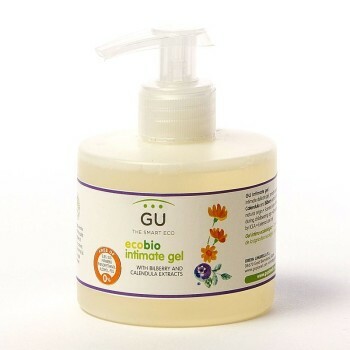 GU diapers decompose in a period of 3 to 6 years. Also, using biodegradable materials, we break the dependence on non-renewable sources, and we do not deplete the resources of our planet. The skin should be kept dry after bathing or after diaper changes. After bath, folds (armpits, between fingers and toes, neck, ears, navel...) must be dried with a towel. For diapering, just a sponge with warm water is enough, and then drying with gauze. In case of diarrhoea, simply change the diaper often. If your baby's skin is sensitive, we recommend using 100% natural products that do no harm and prevent damage. 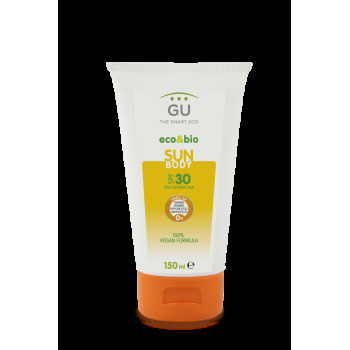 GU Eco Diapers. Tested as non-irritating. S1/10u. 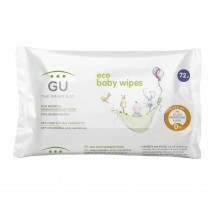 GU Eco Diapers. Tested as non-irritating. S2/10u.